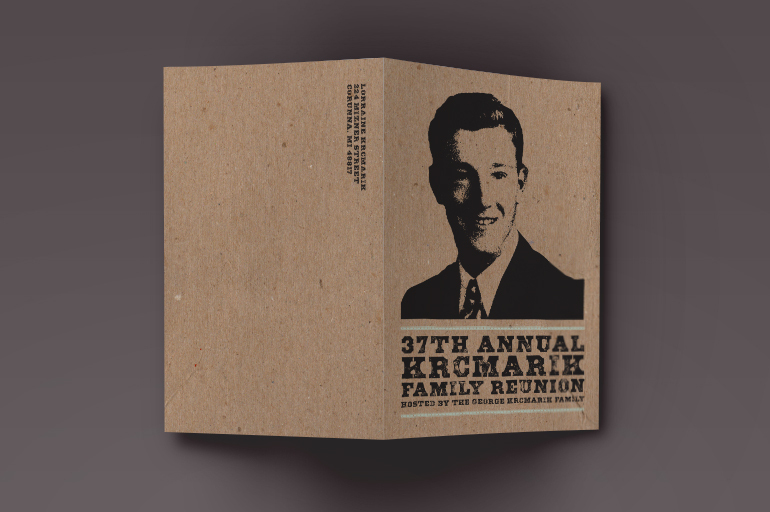 This invite was designed to provide the family with information about the upcoming reunion. Each year, a different one of the ten children of John and Anna Krcmarik is responsible for conducting the reunion. This year is my family’s turn to run the reunion. 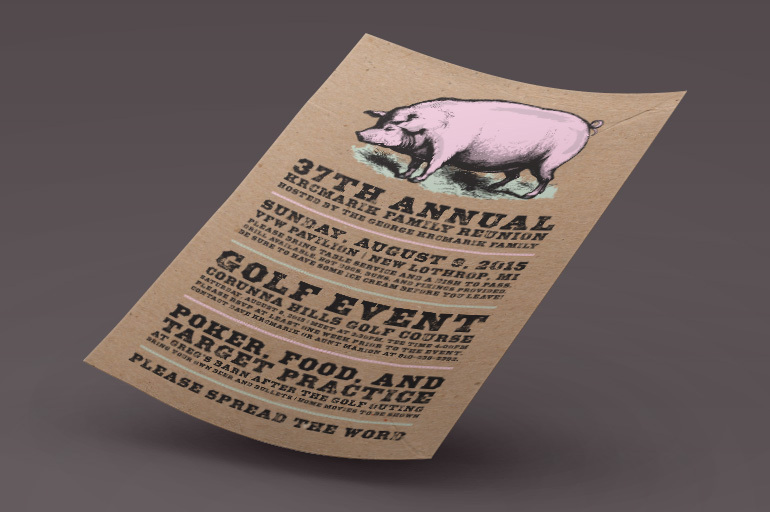 My grandfather loved pigs so it was a natural choice for the invite. I wanted a vintage feel because the picture chosen of my grandfather was his high school graduation picture. I printed on kraft paper to further enhance the vintage feeling.